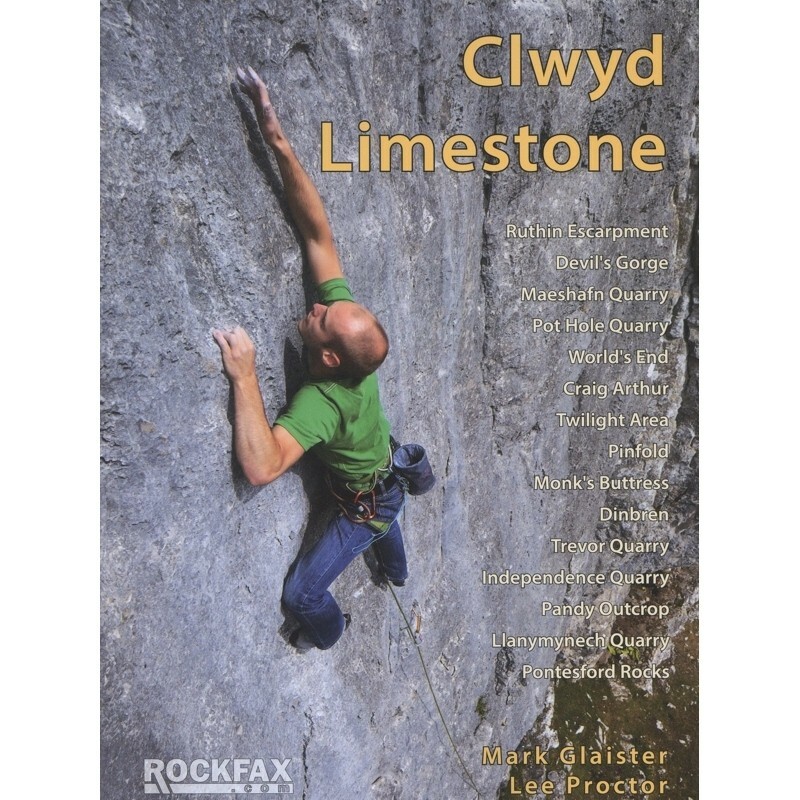 This rock climbing guidebook covers a wealth of traditional and sport climbing, from the magnificent Eglweseg valley, through the popular sport routes in the quarries above the village of Trevor, and on to the trad cliffs of Pandy Outcrop and Pontesford Rocks. The Clwyd Limestone Rockfax covers a wealth of traditional and sport climbing. From the magnificent Eglweseg valley, through the popular sport routes in the quarries above the village of Trevor, and on to the two trad cliffs of Pandy Outcrop and Pontesford Rocks. Since the previous Clwyd Limestone Rockfax in 2005 the area has seen around 250 new routes developed and significant re-gearing of older lines. The area is now living up to its potential as a destination in its own right of as a regular stop-off on journeys to or from North Wales. The previous Rockfax book to Clwyd has been a major contributing factor in the boom in visitors to the area. The area is now a popular destination for travelling climbers and this book is the only one that covers the climbing. It is produced in the customary high standard that climbers now demand featuring full-colour photo-topos and loads of action photos and maps.